Kuusamo's rugged surroundings appeal to visitors throughout the year. The proximity of Russia and a shared 140-km frontier coupled with the future possibility of the frontier opening will give our programmes additional potential. The Oulankajoki and Kitkajoki rivers flow through Oulanka National Park and empty into the White Sea in Russia. Oulanka National Park is a PAN Park, where wilderness values are protected and nature protection is improved through sustainable tourism development. The rivers flow in their natural state, crystal clear and pure. Nature at Oulanka is exceptionally diverse. The park is home to many rare flora and there are even bears roaming. In places, the Bear's Trail, the best-known hiking trail in Northern Europe, follows the Oulankajoki and Kitkajoki rivers. The Oulankajoki, Kitkajoki and Kuusinkijoki rivers are legendary, world wide known trout rivers, where large trout come to spawn from lakes Paanajarvi and Paajarvi on the Russian side. The proximity of the Russian border can be felt on every fishing trip. Apart from anadromous trout, the rivers also provide superb fishing for grayling and whitefish. Although the rivers flow through outstanding wilderness, they are still easily accessible. The Oulankajoki and Kitkajoki rivers enable many different types of fishing in many different types of water. The Oulankajoki river provides the best sandy beaches along the wide meandering river, the Kitkajoki river flows through a steep rugged canyon and features riverbank landscapes and many foaming rapids interspersed with quiet waters. The difference in height along the river is 105 metres. The banks of the Kuusinkijoki form the backdrop for a tranquil, unspoilt landscape for anglers, with good fishing along a some 10 km stretch of the river. Fishing is centred along the downstream reaches of the river. 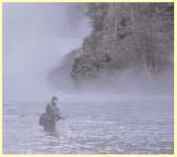 The middle and upper reaches are suitable for anglers preferring a quieter fishing spot. The most sought-after catch is a running trout. Trout weight is at an average of 2.5 kg, although trout of 4-5 kg are caught weekly and trout of over 6 kg are caught annually. The fishing season is from 1 June to 10 September 2006. There is a weekly close season from 6am Monday morning to 6pm Tuesday evening. Lakes and ponds can be fished throughout the year. Traditional fishing methods are permitted. A maximum of two flies is allowed per rod. It is not possible to fish from a boat along the rivers. Use heavy or medium-heavy fishing tackle. Nine-foot rods or longer. When fly-fishing, traditional trout flies are various streamers, usually hair wing salmon flies, tied on an 4-8 hook. The best lures for catching grayling and whitefish are sinking flies, nymphs and larvaes tied to a number 12-16 hook. Floating or intermediate line will also do. Casting lengths range from just a few metres to 20 m. Waders are almost a necessity. 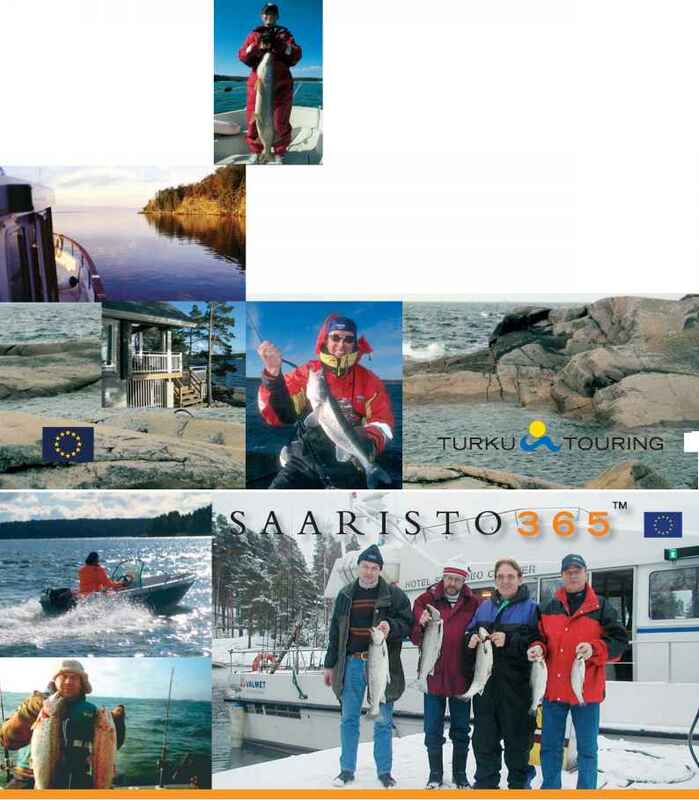 Top quality accommodation at the Rantasipi Rukahovi hotel or alternatively in a quality log cottage. Duration 1 week Fishing day 8 hours a day Product Fishing on the Oulankajoki, Kitkajoki and Kuusinkijoki rivers under the guidance of a flyfishing guide from Rukapalvelu. Rivers and possible night fishing as the customer fancies are chosen depending on local conditions. Distances to rivers: 25-45 km from accommodation, car transfer. Fishing permits. Meals: Outdoor meals around a fire, campfire coffee and tea during the fishing day. Dinner at place of accommodation.